 NJ DOS - Division of Elections - Register to Vote! I am at least 17 years old, and understand that I may not vote until reaching the age of 18. The registrant must complete a Voter Registration Application and/or Party Affiliation Form. Mail or deliver the Voter Registration Application and/or Party Affiliation Form to the County Commissioner of Registration or Superintendent of Elections for your county. You are serving a sentence or on parole or probation, as a result of a conviction of an indictable offense under state or federal law. Note: If you are no longer serving a sentence, or no longer on parole or probation..., you CAN vote in NJ by completing a new voter registration form (linked below). You only lose your right to vote while on parole, probation or serving a sentence due to a conviction for an indictable offense under any federal or state laws. If you were registered to vote before you were convicted, you must complete a new voter registration form (linked above) once you have served your time. If you are a pre-trial detainee or on bail pending appeal, you do not lose your right to vote. If you have any questions, please contact your County Commissioner of Registration. The registration deadline to vote in the next election is 21 days prior to the election day.